It was an ugly basketball game, but all wins count the same, and the Privateers (5-8, 2-0) scored their first road victory of the season Saturday night at Houston Baptist, 64-57. 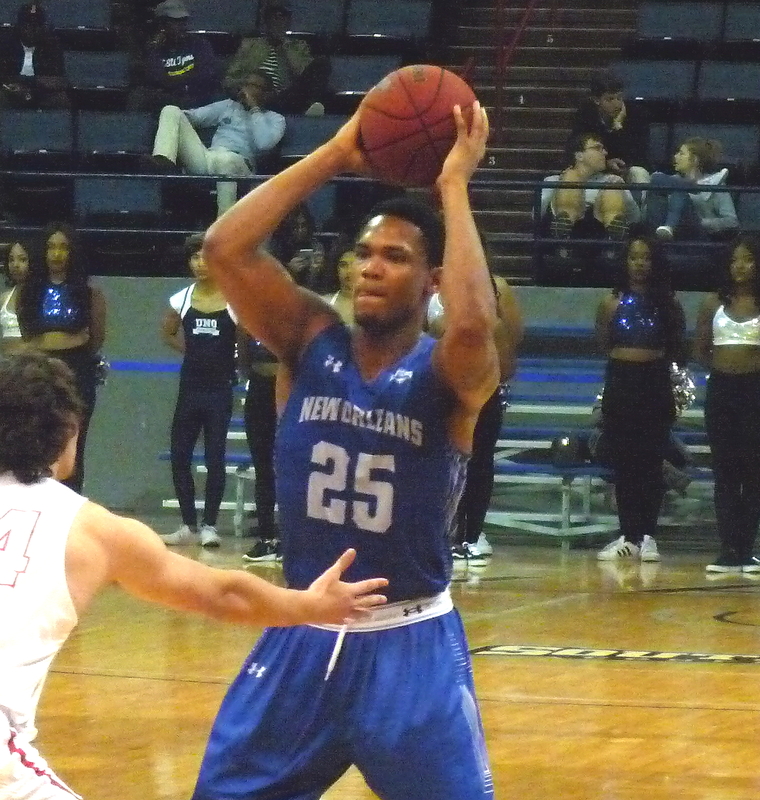 Led again by senior Travin Thibodeaux, whose double double of 18 points and 10 rebounds paced the team, New Orleans rallied from 5 down at the 7-minute mark to take control late. The Bucs finished the game on a 17-5 run. Each team had significant turnover issues, with HBU committing 21 and UNO 20. The Huskies also shot a putrid 8-for-18 from the free throw line. Scott Plaisance came off the bench for New Orleans to score in double digits with 10, and Makur Puou had 9 points and 9 boards. Houston Baptist, playing without its best player in Josh Ibarra, was led by Jalon Gates with 20 points. UNO returns home after New Year's on Wednesday, January 3, to take on former coach Tic Price, former player Colton Weisbrod, and the Lamar Cardinals.